A couple of you have alerted me to a world wide campaign to express grief over Phillip Hughes’ tragic death. You tweet with the hashtag #putoutyourbats, and post a photo of a cricket bat. 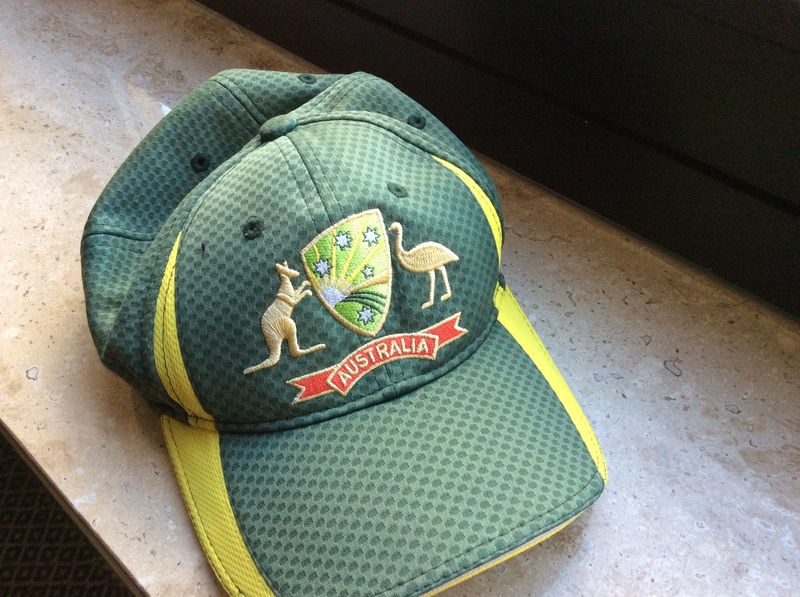 I didn’t come to the U.S. with a cricket bat, but I brought my Aussie cricket cap. In the footy season I always wear my Swannies cap, and in the cricket season (which is now in Australia) I always wear my Aussie cricket cap when I travel.